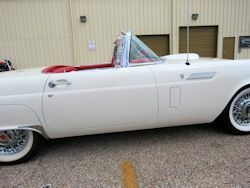 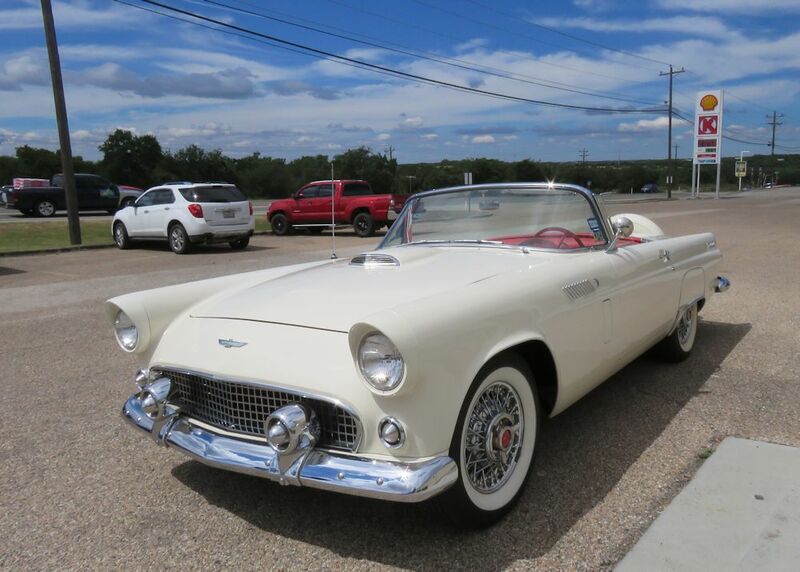 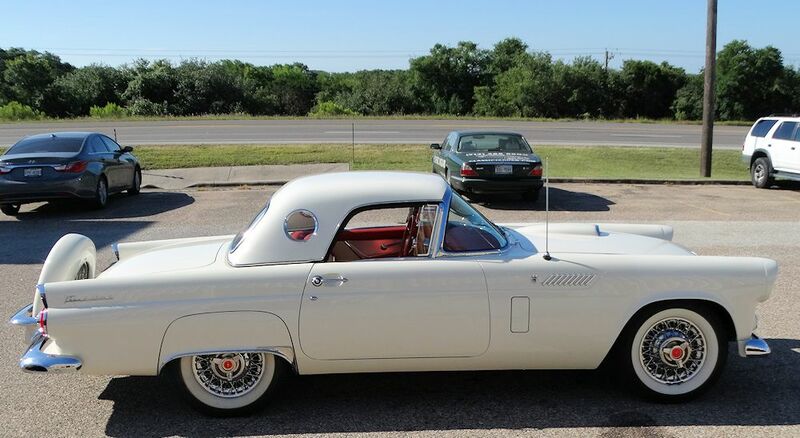 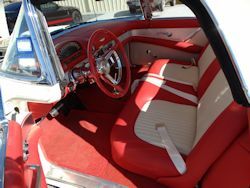 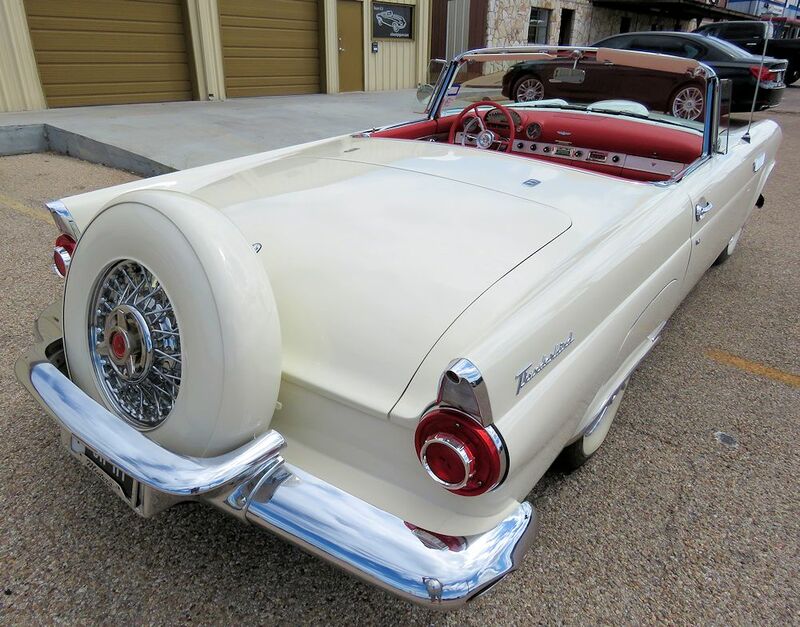 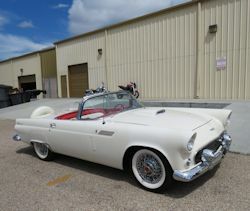 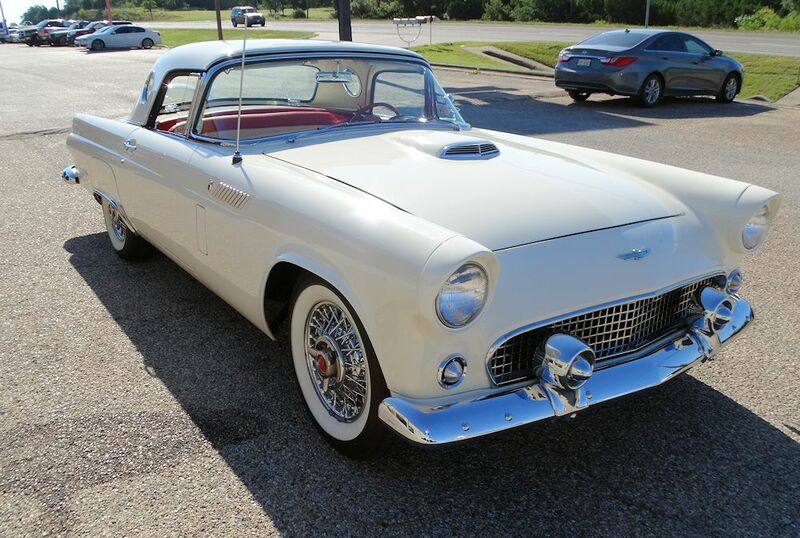 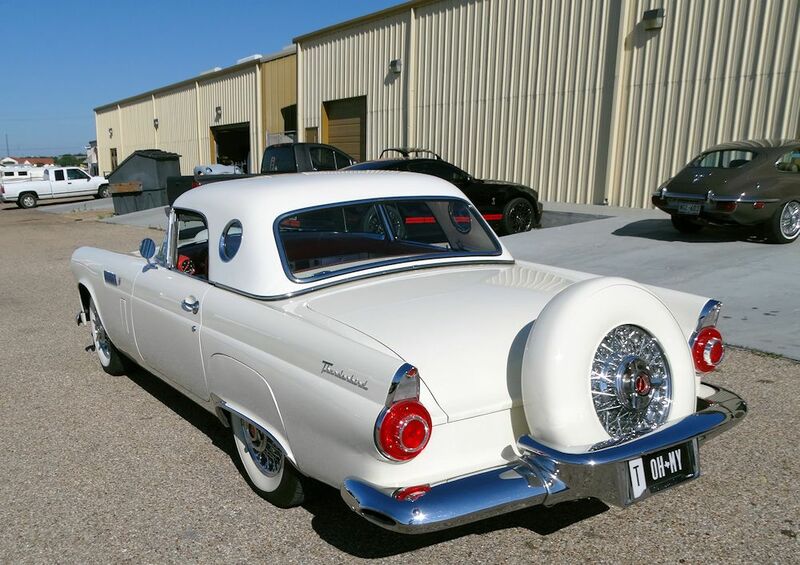 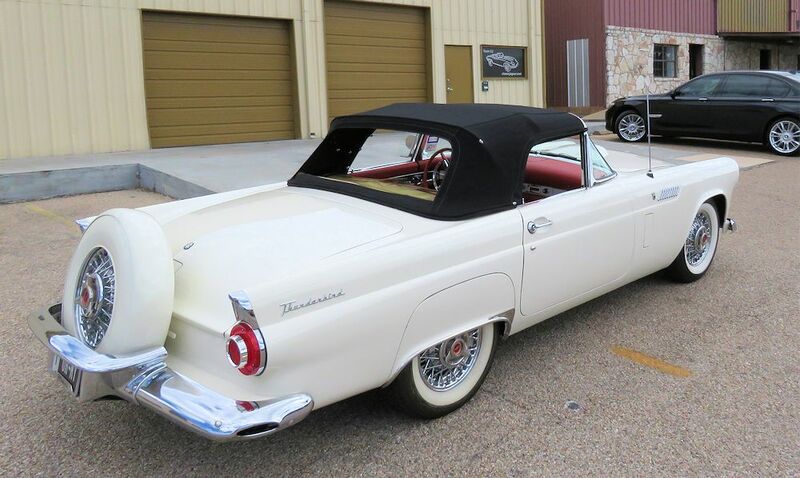 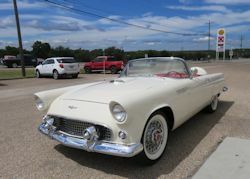 We are very pleased to offer this truly excellent T-Bird which we recently purchased from one of our restoration clients. 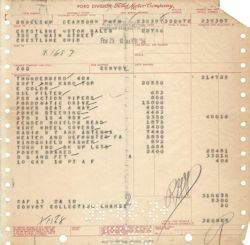 The sale includes the original dealer invoice, as well as maintenance records dating back more than 40 years. 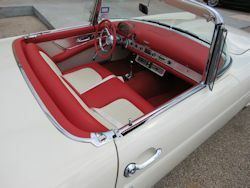 We believe the car has had three owners from new. The odometer shows 44,593 miles (as of June 2017), although this is not believed to be the actual miles and the true mileage is unknown. 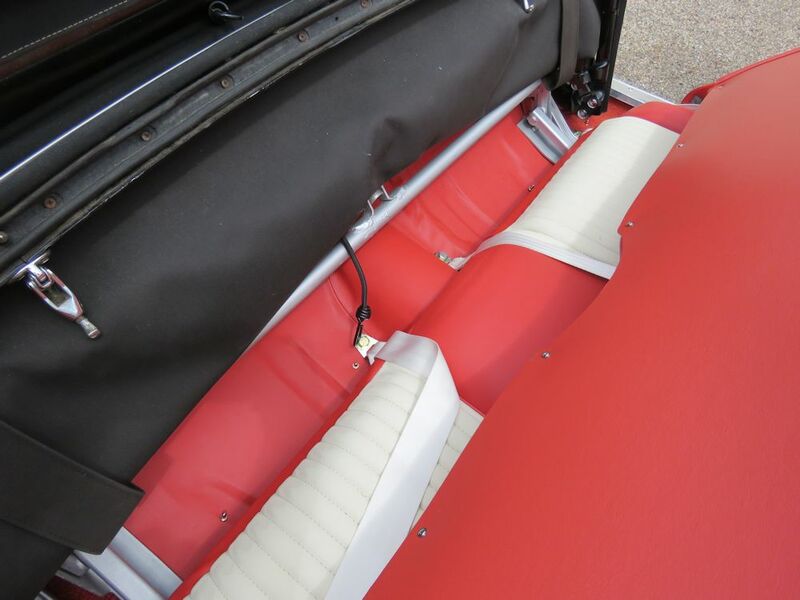 This matching numbers car is finished in the extremely elegant livery of Colonial White (cream) with Fiesta Red and White two tone interior. 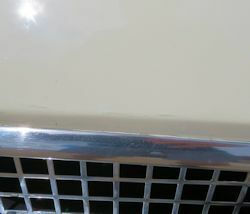 The completely rust free body features an older repaint which is still very presentable, although it has been touched up in a few areas. 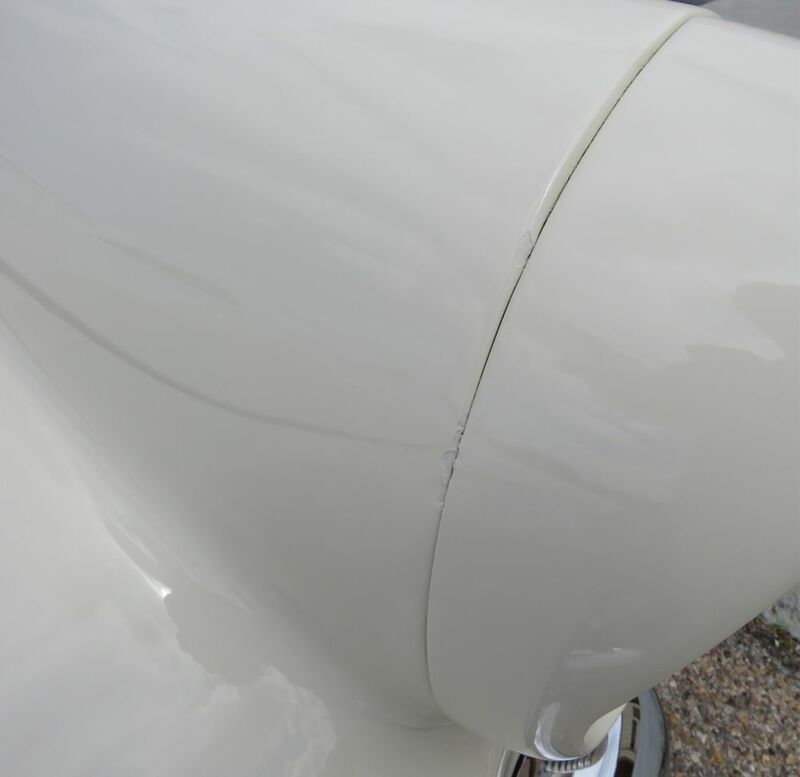 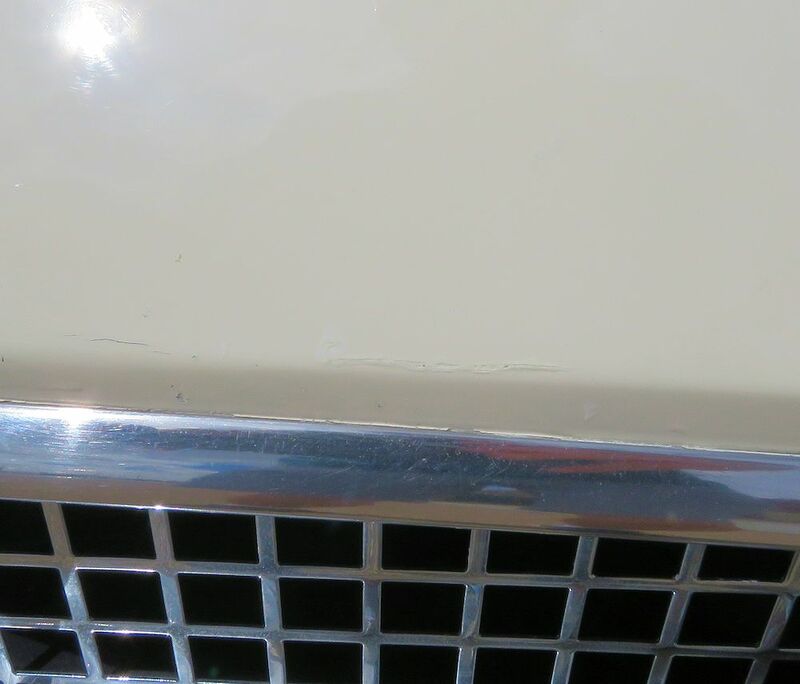 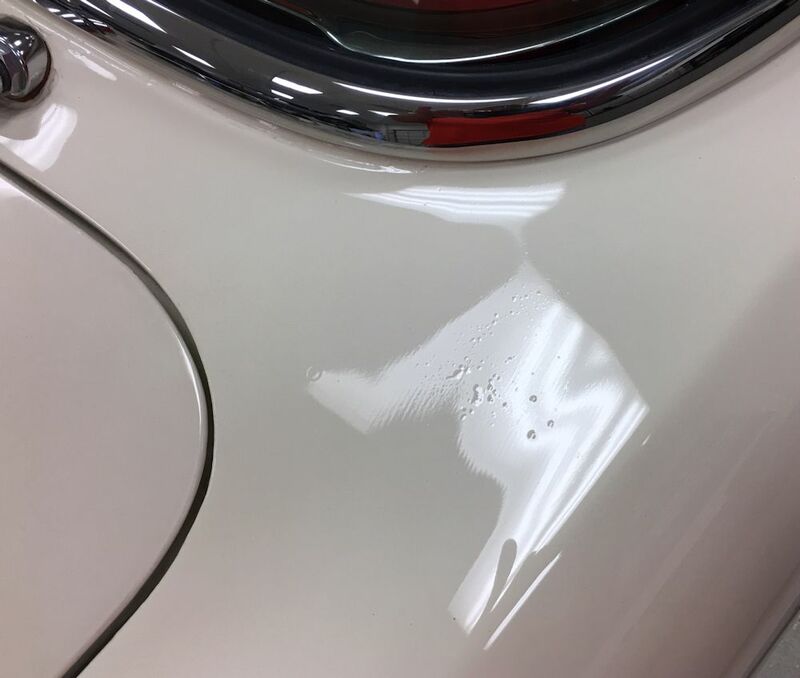 Paintwork should be considered "high quality driver" standard, with just a few flaws visible upon closer inspection. 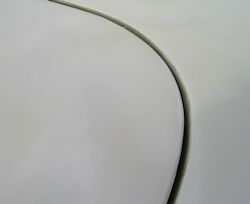 The last photograph in the sequence is a highlighted image of some micro blistering in the paint on top of the left front wing. This is the worst issue in the paint. The chrome, glass and wheels are all in very good to excellent condition. 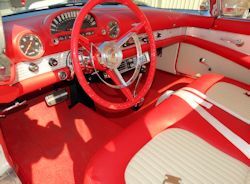 The interior was completely re-done by renowned marque specialist Amos Minter just a few hundred miles ago, and is genuinely superb. 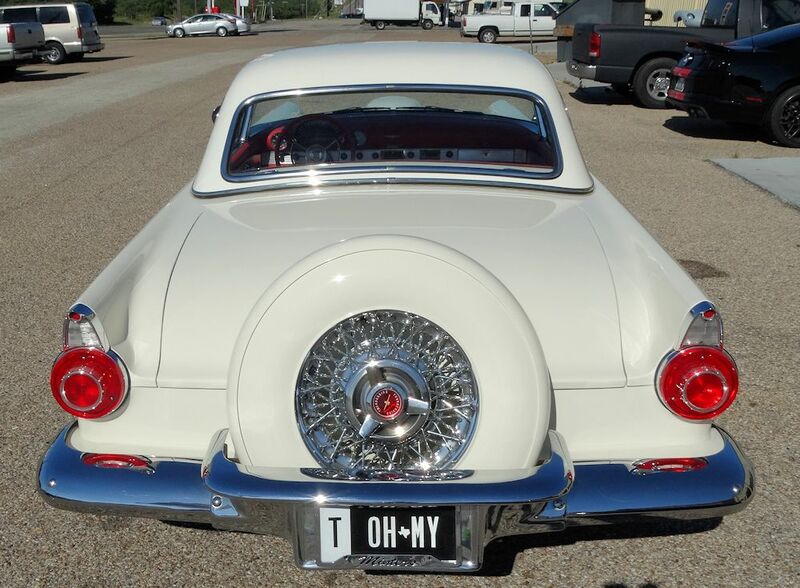 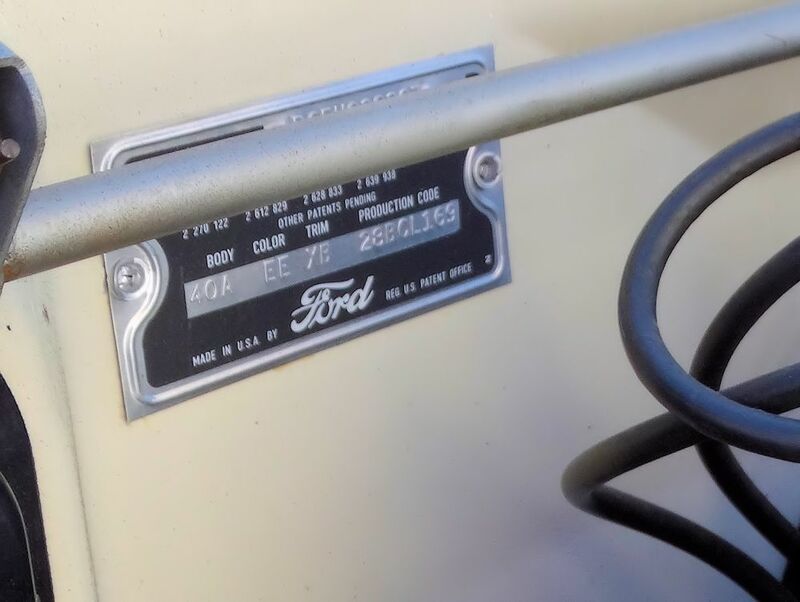 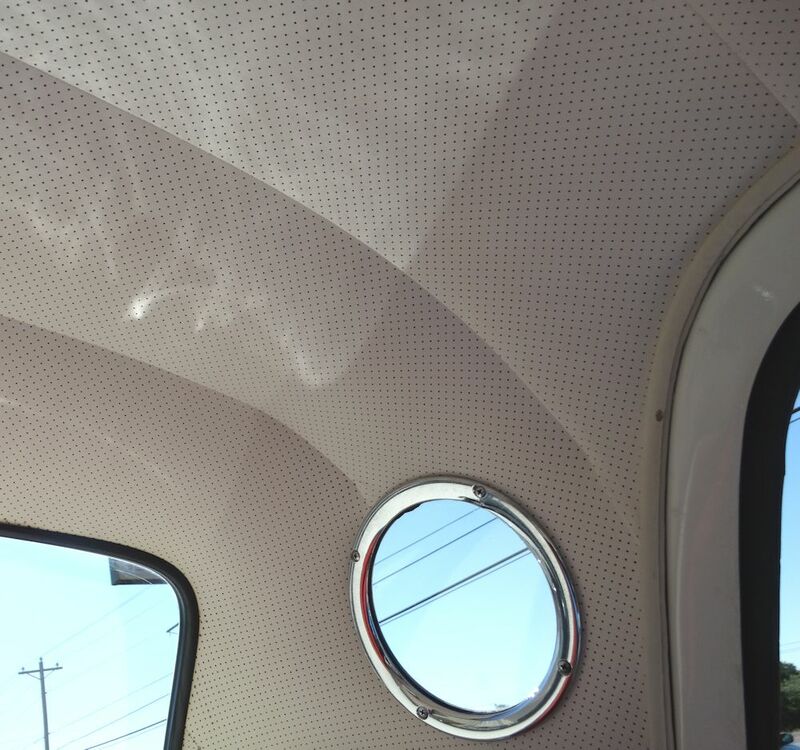 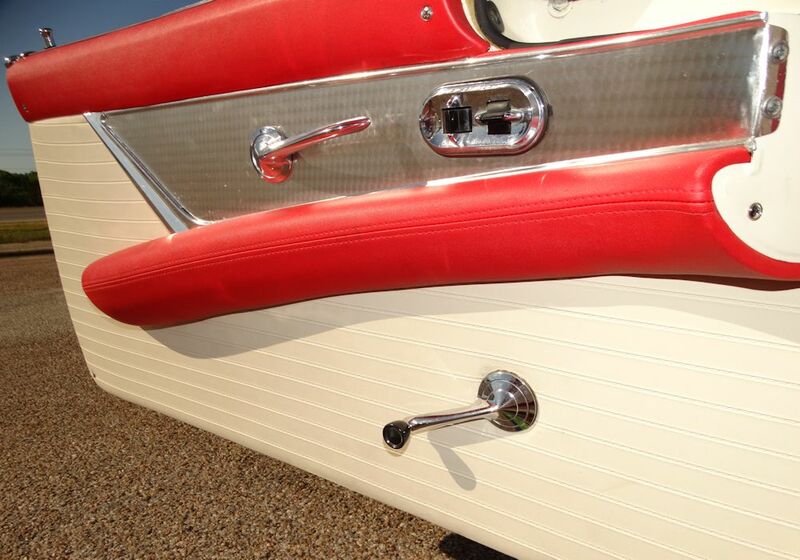 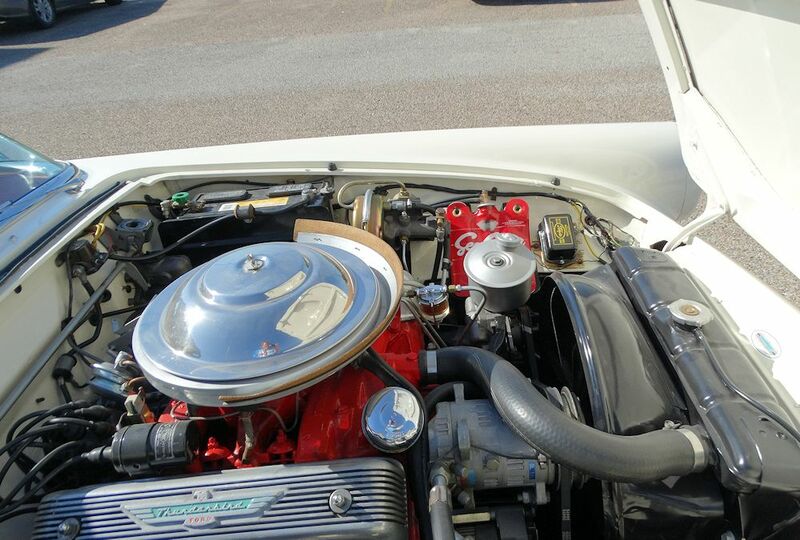 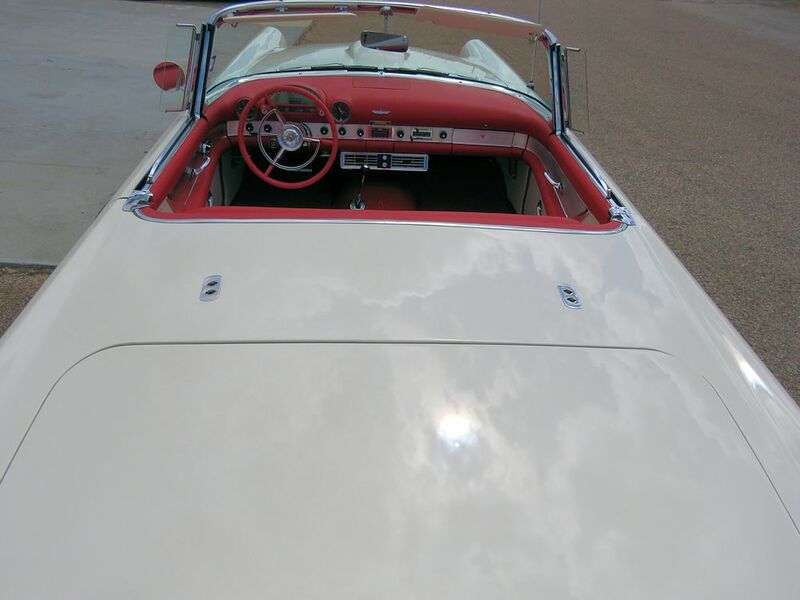 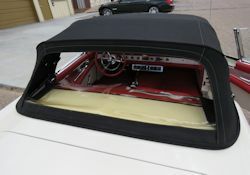 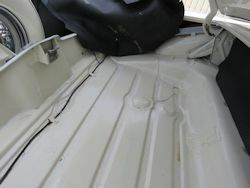 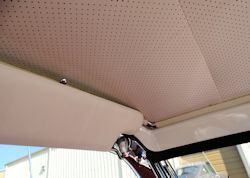 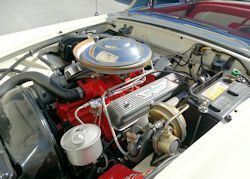 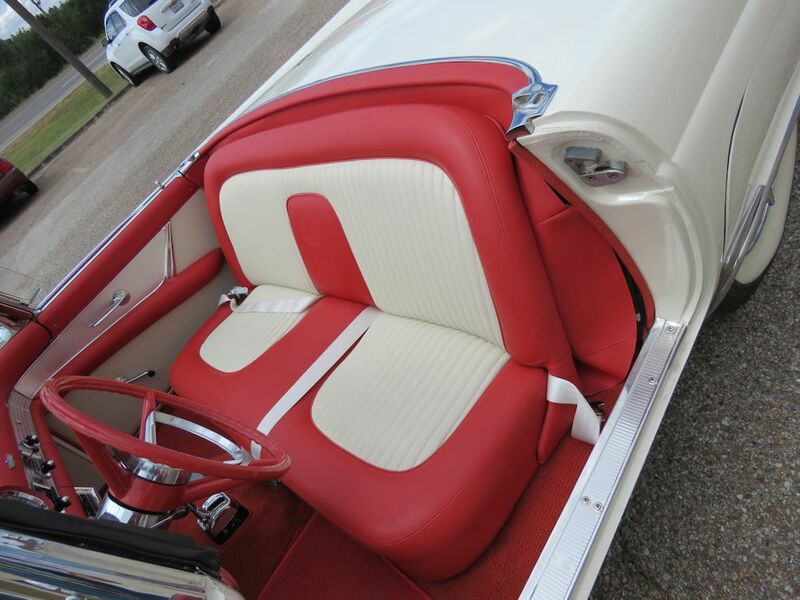 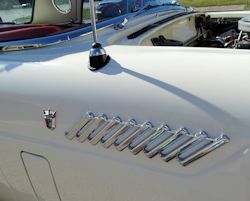 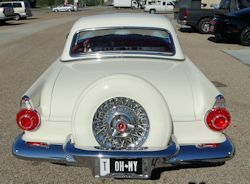 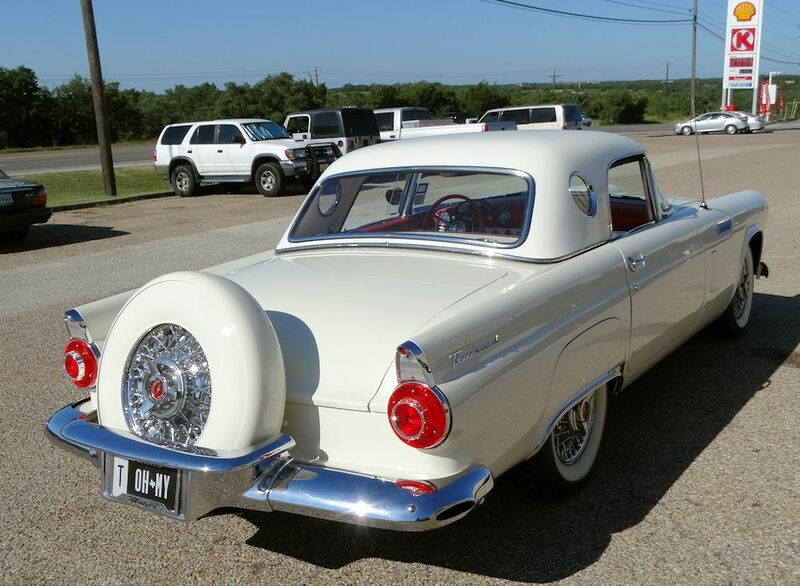 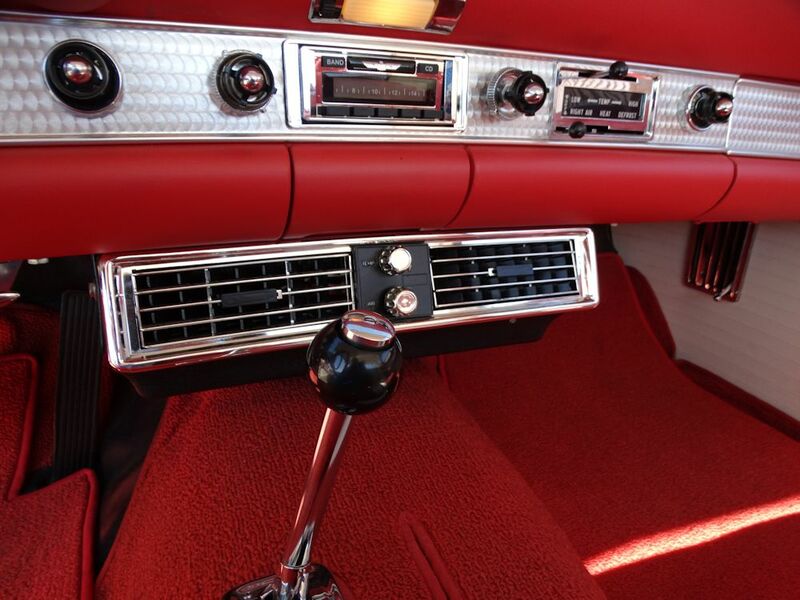 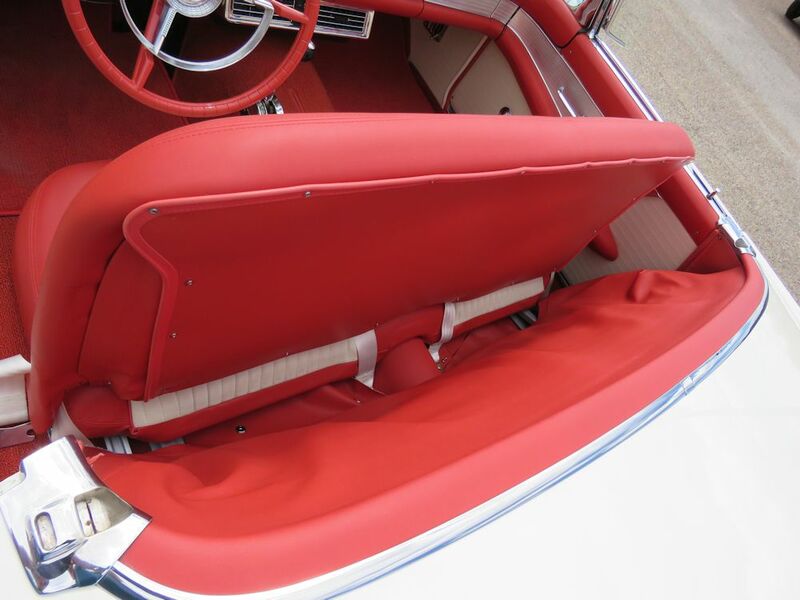 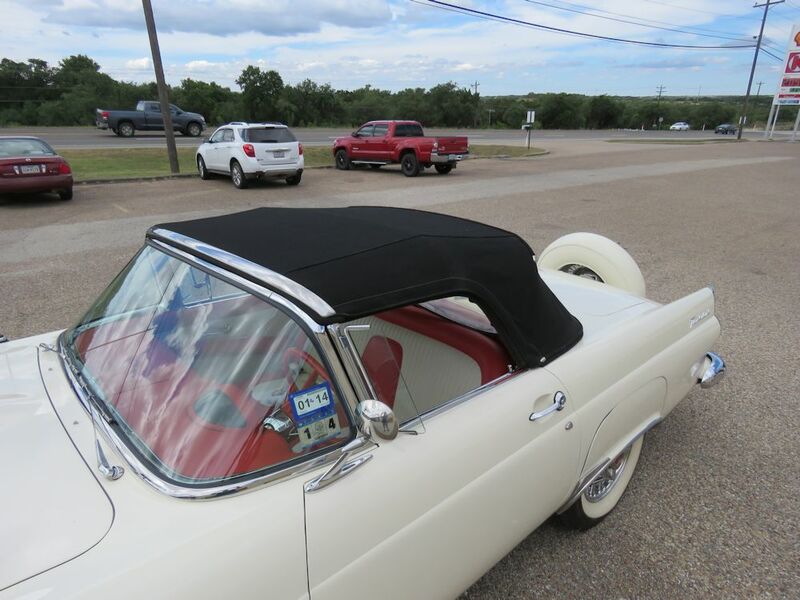 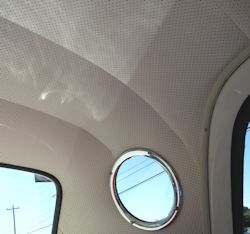 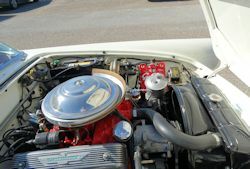 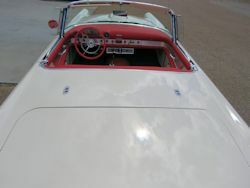 At the same time, Mr. Minter restored the factory hardtop and installed a new aftermarket air conditioning system. 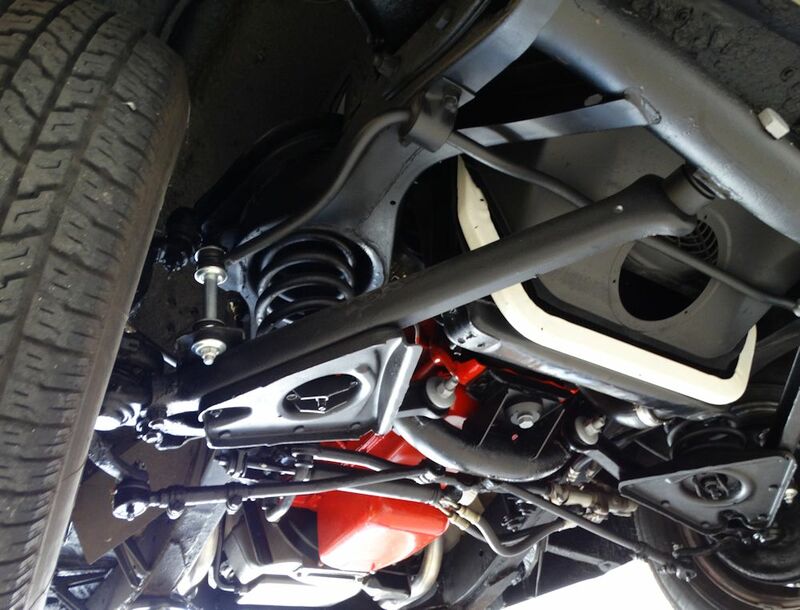 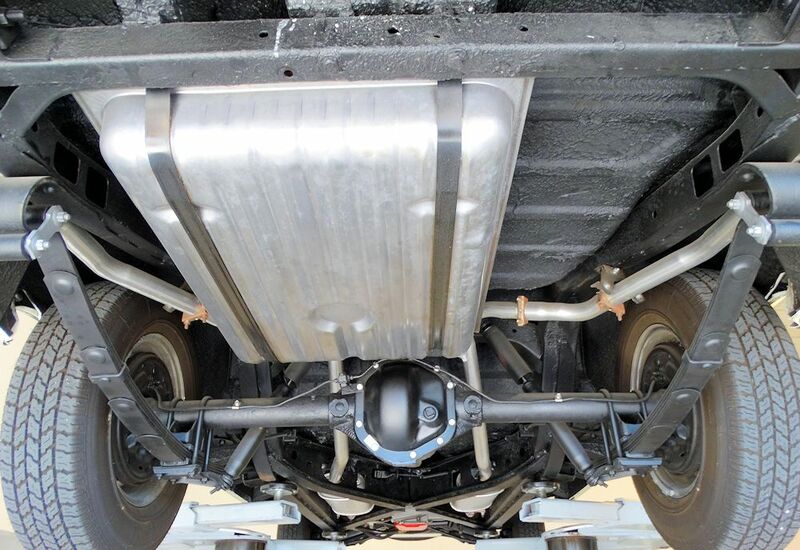 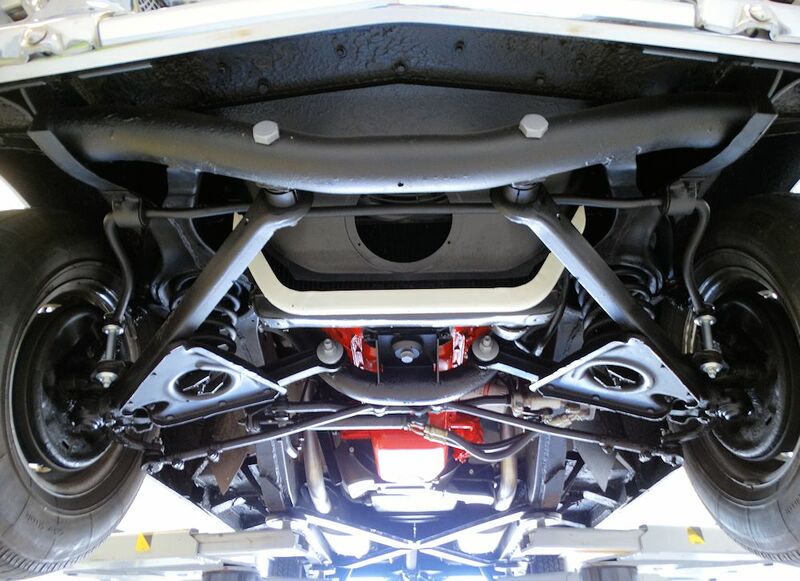 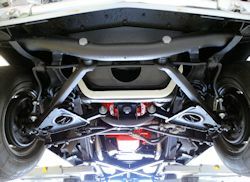 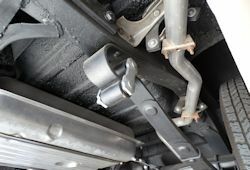 The underside of the car is extremely clean and presentable and has clearly been exceptionally well maintained. This beautiful T-Bird has just been thoroughly serviced in the CJ workshops (June 2017) when as well as changing fluids and filters, we also installed a new alternator, a new battery and four brand new Coker white wall tires. 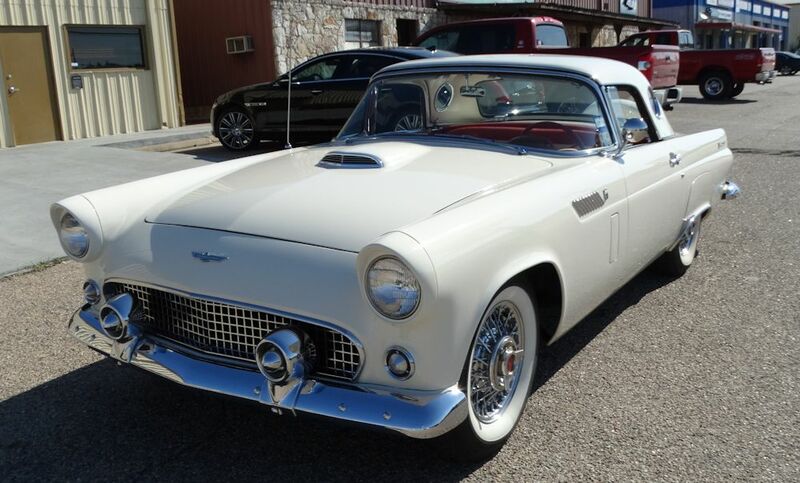 Our T-Bird is extremely well optioned, including both tops, (both tops are virtually as new), power steering and power brakes. 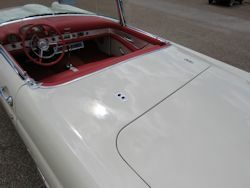 The car runs and drives beautifully and attracts a crowd everywhere it goes! 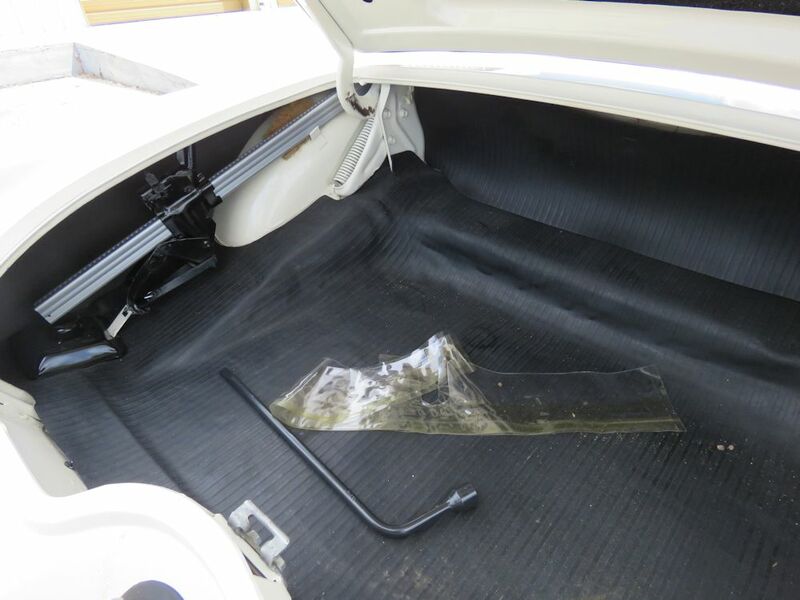 The sale includes a substantial file of documentation, three sets of keys, a correct owners manual and a fitted Amos Minter car cover. 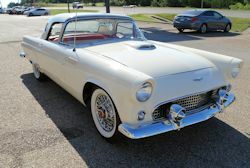 Purchased from Amos Minter for over $90,000 in 2013, this stunning T-Bird represents tremendous value and investment potential at our asking price. 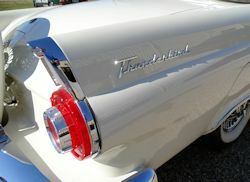 Sold strictly 'as is, where is' with no warranty of any kind being offered. 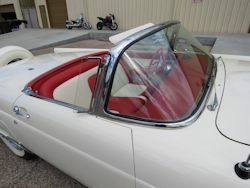 Clear title conveys to the new owner. For an appointment to view, please email or call (512) 288 8800.